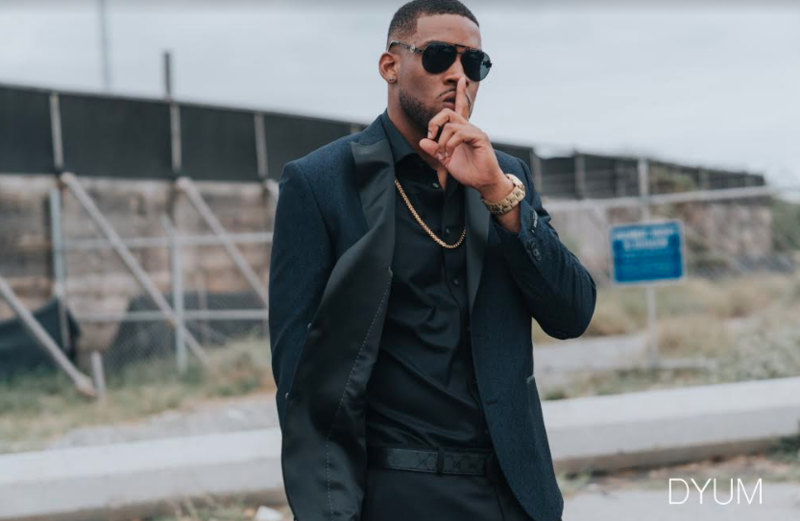 Meet singer and songwriter on the rise, Kimani ‘DYUM’ West who not only wants to cement himself within the dancehall music industry but also wants to secure a top seat within the charts as well. Born in St. Andrew and raised in St. Ann until he was 19, DYUM is an Army Sergeant whose passion and commitment to music has led him to transition into an independent artiste- managing his own record label, Almighty Records. He is notably another artiste to transition from the army to music- the most known being international recording artiste, Shaggy. In fact, his love for music started when he was 13 years old when saw Dancehall artiste, Aidonia performing at a Teen Splash and was captivated by his performance. This set things in motion as he began writing and did his first performance on a once held talent show on Hype TV where he went up against a young Masicka and actually placed second out of 405 hopefuls. This was the defining moment for him and so he decided to pursue a career in music. He describes his style as unique but cites Vybz Kartel, Kendrick Lamar and Buju Banton as some of his musical inspirations as it relates to lyrical content and flow. He is getting ready to release an EP which will feature ‘Wanting More’, a collaborative done with recording artiste, Serani. The track, along with the visuals is currently making its rounds on all digital platforms and tells the story of a man who during his efforts to woo a woman, lets her know that when he wins her over, she will ‘want more’ of his time, attention and love. In fact, the visuals portray a twist where the male lead isn’t just interested in wooing one woman but a series of them.